When it comes to accounts and finance, the assortment of auditing terminologies seem to have been dumped in the entrepreneur’s “I didn’t understand, but I’ll still sign the papers” memory. “ACCOUNTING STANDARDS” are one of the famous terms you vow to learn about it and forget about it till the next September. You see it often in the financial reports and probably you gave it a questionable stare, nevertheless you signed the report. If you’re running a business, to understand accounts and to save yourself from inherent business risks like fraud, manipulation etc by accountants, you’d do yourself a world of good knowing about Accounting Standards. 1 What are accounting standards? 2 Why do these accounting bodies need to specify these ground rules? 3 So accounting standards help in straightening financial transactions? 4 What are the basic things I need to know about accounting standards? 5 What if my firm does not follow? 6 So my firm is answerable to ICAI, if I don’t follow AS? 7 Okay, I get it. That means I start following these entire 28 mandatory AS from day 1? 8 How do I know in which category my firm falls in? 9 I’m a company, so I don’t need to follow these AS from ICAI, clearly. 10 I’m a charitable trust. I need not follow AS right? Accounting standards are written policy documents issued by an expert accounting body, government or regulatory bodies specifying the standard rules for the many issues in accounting for a certain financial transactions. Why do these accounting bodies need to specify these ground rules? What happens when there are no rules, all hell breaks loose. Without certain standard ground rules, people will follow different ways to record a transaction which might lead to jeopardy. For example, Company A bought a office worth Rs. 30 Lakh but in the balance sheet it is valued at Rs. 50 Lakh because the firm believes that in future it will appreciate. Or the firm is hopeful of getting a huge account, so it recognizes sales of Rs.10 lakh even before finalizing the contract. These are faulty assumptions and unreasonable valuations. So if all companies start accounting on their whims, you sure have calculated chaos in numbers. So accounting standards help in straightening financial transactions? Yes, they do. They spell out the basic rules, assumptions and measurements and criteria when there is an accounting dilemma. Like how to record fixed assets like land. 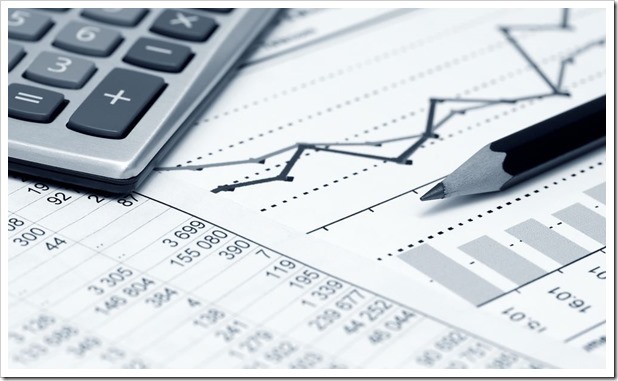 An accounting standard on fixed assets takes care about how to record for land, plant, machinery etc. Since all firms follow these standards, there is an uniformity and reliability in the financial reports. What are the basic things I need to know about accounting standards? In 1977, the Institute of Chartered Accountants of India established Accounting Standard Board or the ASB to bring out accounting standard texts. Till date, there are 32 accounting standards and effectively only 28 are mandatory. AS-1 to AS-7 and AS-9 to AS-29 have been notified by the Central Government. What if my firm does not follow? You are indirectly bound to follow. As you know only qualified Chartered Accountants recognized by The Institute of Chartered Accountants of India have the right to audit and sign your financial reports, the CAs, while dispensing their attest functions, they do report on the firm’s accounting policies. If you don’t follow the AS, they do have a right to qualify your report. So my firm is answerable to ICAI, if I don’t follow AS? No. Your firm is not bound to follow AS from ICAI, but auditors are. Also, these standards are globally accepted and they add reliability to your reports, so there’s no reason why you should resist following AS. Okay, I get it. That means I start following these entire 28 mandatory AS from day 1? Well, yes and no. The ICAI has divided it’s enterprises into 3 types ie, Level I, Level II and Level III. Level II and Level III enterprises have a relaxation from certain disclosure requirements and some standards are not applicable. How do I know in which category my firm falls in? If you’re not a company but you are a partnership or proprietary firm, check for at least 1 condition to be satisfied in these criterions. Equity/Debt Listings If you are listed or are in the process of listing in any stock exchange If you’re not listed or not in any process of listing in any stock exchange. Borrowings You’ve borrowings of more than 10 crores at any time during the FY You’ve borrowings for more than 1crore but less than 10 crores at any time during the FY. If you satisfy none of the above criteria, you automatically fall into Level III, where you have many disclosure relaxations. I’m a company, so I don’t need to follow these AS from ICAI, clearly. Yes you don’t have to follow these AS from ICAI. And no, you’ve to still follow accounting standards as notified by Central Government (CG). The CG set up National Advisory Committee on Accounting Standard (NACAS) exclusively for companies in 2006. Also the same AS from ICAI have been adopted to form Company accounting standards. The Central Government has divided companies into Non SMCs and SMC (Small and medium companies) with Non SMC and the Level I enterprises having the same classifications. And SMCs being given relaxation just as Level II and III enterprises as in ICAI enterprise classifications. I’m a charitable trust. I need not follow AS right? Prima facie, no charitable trusts need not follow AS. But if your charitable trust carried on commercial/industrial or business activities, then you are subject to attestation by CAs and that calls for following AS. These are some of the many questions that are basic questions that haunt any start-up or firm. Now, Book Your Meal Along With Train Tickets On IRCTC Website! Are Your Internal Business Conversations Smooth? Amendments In Companies Act 2016 Makes Exit Easier For Failed Startups! Do you write a Business Plan only to get funding for your startup?